Have your child build the word and write it in the provided area. 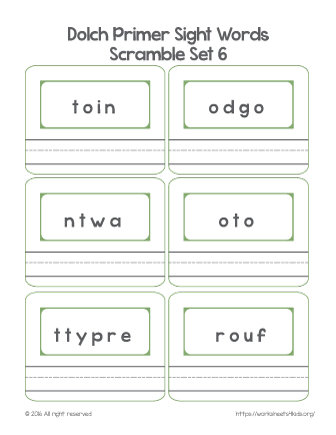 This page contains six kindergarten sight words: into, good, want, too, pretty, four. This worksheet is great for practicing reading and writing skills.